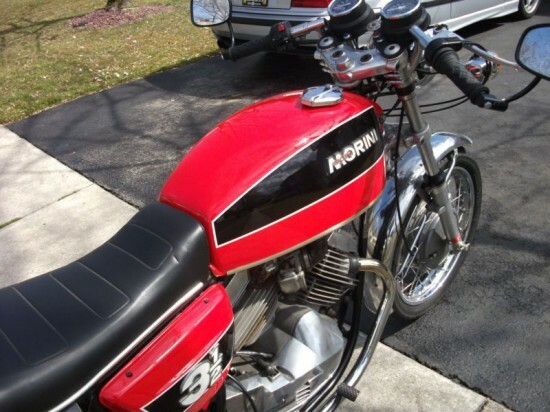 For the “bigger isn’t always better” crowd: here’s a nice little Moto Morini 3½ Strada!, It’s a very cool little machine that you won’t often see coming the other way, has excellent period handling and braking, decent reliability, big horsepower, and can be had for peanuts! Okay, so I may have been kidding about the “big horsepower” part. But when people stop to ask you about it, you have all sorts of interesting technical tidbits you can mention. Like the unusual 72 degrees between the cylinder banks. The six-speed gearbox. The Heron-style heads that were also found on some period Jaguars and the smaller-displacement Moto Guzzis of the time. The fact that the bike has both an electric start and a kick-start lever. Actually, from all accounts, you should just pretend the electric start isn’t there, since it’s pretty far from reliable. 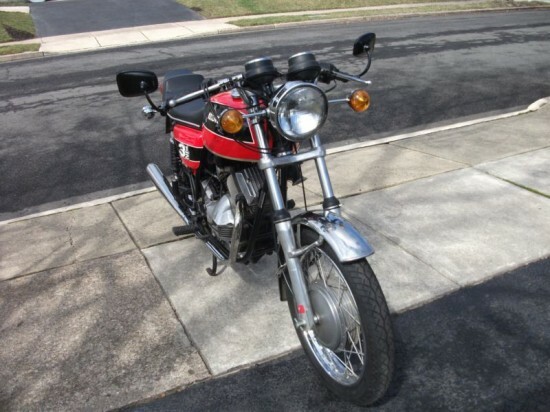 Considered a middleweight when it was introduced in 1974, the 344cc motor was a bit short on oomph, but long on gas mileage. And, as you’d expect from a twin, made nice chunks of usable power, right where you need it on the road. And while we’re on the subject of that motor: can I tell you how annoying it is that these guys didn’t just call their bike a “350” like everyone else? Getting word processing software to do “3½” is annoying, so I just copy/paste that bit every time I write about one of Morini’s little twins. 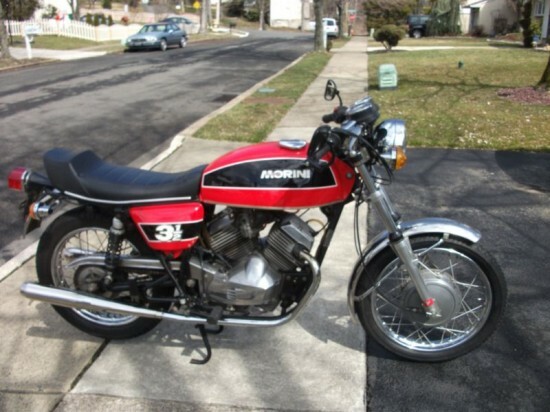 Moto Morini 3 1/2 Strada 1976. Cafe Racer . One of the best Italian bikes with legendary handling. 350 cc V twin engine sounds and runs to make you smile every time you ride. 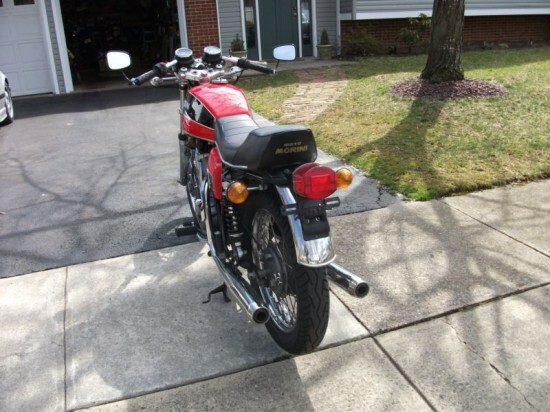 Bike has new Tachometer and Speedometer due to Speedometer failure. New Tires ,YSS adjustable shocks, mirrors, battery etc. Total mileage 8876 miles. Original shocks and Speedometer included. I really like these little machines, and I’m glad they’re still very affordable. This one still has a few days to go, and the Buy It Now price is set at $6,500, a bit on the high side. But with low mileage, you’re sure to get your money’s worth back in weekend fun and backroad scratching. newest updates, thus where can i do it please help.